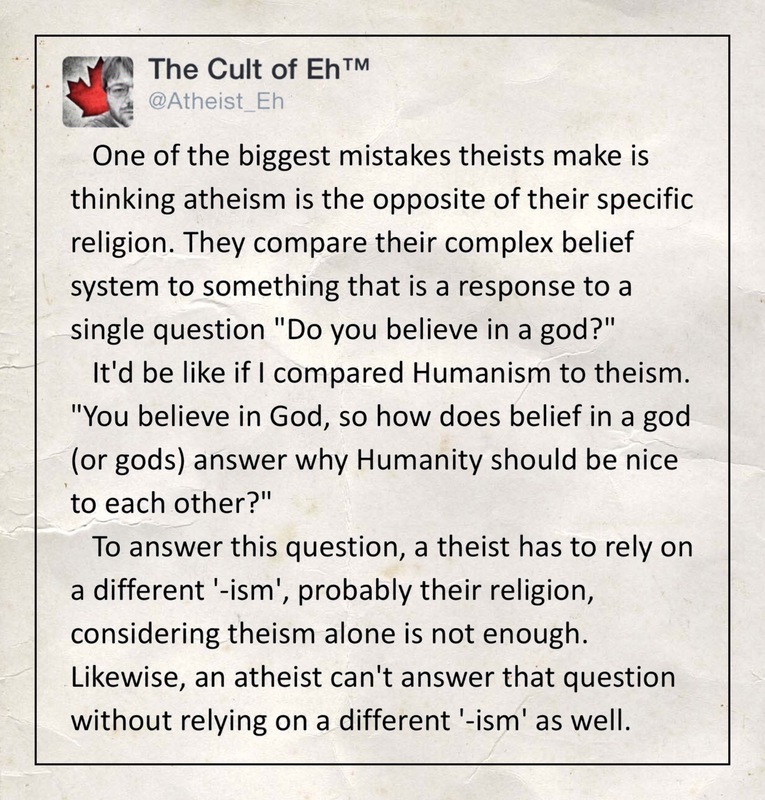 When debating with theists on Twitter, or any platform really, there is a common mistake both atheists and theists make; although 9 out of 10 times it’s the theist that makes the error and the atheist then errors by not calling them on it. That mistake is to compare atheism to a specific religion. This entry was posted in Uncategorized on October 14, 2016 by Eh.